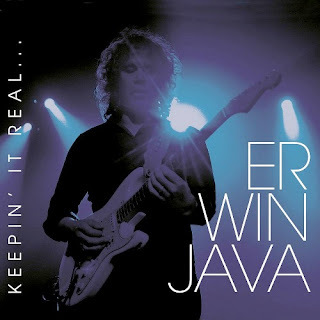 "Keepin 'it Real" is the title of the first entirely self-produced album by guitarist Erwin Java. stabbed. These are songs that have been brought about by him through text and / or music during his musical wanderings. With "Keepin 'it Real" Java wanted to stay closer to its (blues) roots. Also literally: the recordings took place 800 meters away from his house and largely with the help of musicians from the neighborhood. Eight tracks feature vocal guest contributions from Tineke Schoemaker (Barrelhouse) and Ralph de Jongh. The other two are instrumental.